Tarazod Films & Media LLC: Mad City Chickens Returns to Canada! 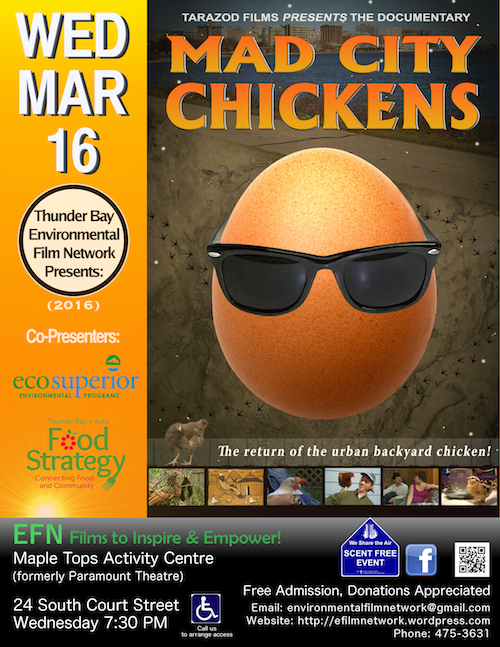 Our feature documentary Mad City Chickens will be screening on March 16, 2016 in Thunder Bay, Ontario. Sponsored by the Thunder Bay Environmental Film Network, the movie will play at 7:30 pm at the Maple Tops Activity Center, 24 Court St. South.